Wondering what this Rocket yoga is all about? Well, The Rocket is a system of yoga that will take you through a twisting, inverting, arm balancing and back bending ride. A thrilling practice, with an equally interesting history and story to be told. Rocket Yoga was developed by Larry Schultz in the 80’s and is a mirrored practice to traditional Ashtanga Yoga. This high energy, uplifting, feel good ride will leave you blissful, but focused, grounded and wanting more. Larry studied with K. Pattabhi Jois, the guru (teacher) of Ashtanga Yoga, in Mysore India for many years. After bringing the practice back to the U.S., Larry opened the second yoga studio in San Francisco. Hard to believe today with a yoga studio on almost every corner of San Fran’s streets. Ashtanga Yoga is the first form of vinyasa (flow) yoga. It has reputation for being a rigid practice due to the hierarchy of poses. What does that mean? Well, a student must be able to complete one pose before moving onto the next, as well as complete the first series of poses before moving onto the next series. Many of these poses can take years to open the body for. Larry soon discovered that this was not going to fit our culture– we are a fast moving, multi-tasking culture, who usually prefers a quick fix. So, Larry started to play around with the sequence. Being the first to do so he was named the ‘black sheep’ of Ashtanga Yoga. In The Rocket system Larry reconfigured the sequence. He took out some poses, added some in and dropped the whole hierarchy. He transformed this traditional practice, making it more accessible for the modern westerner. As much as Larry altered the practice, he stayed true to its deeply rooted tradition. Just like Ashtanga, this practice gives a student the framework to develop a self lead yoga practice. Having the structure of a sequence allows one to pick up where they left off. Creating a moving, breathing, meditation. 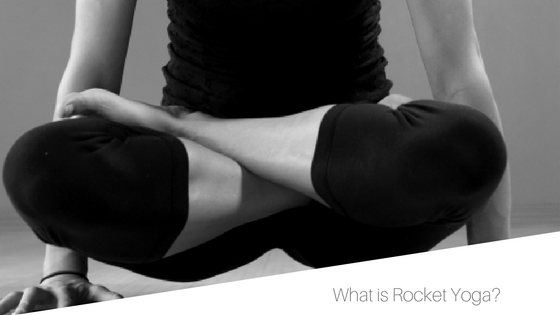 Rocket Yoga will transforms your physical body, building strength, flexibility and focus in ways that will amaze you. This yoga system works with your nervous system, teaching it how to adapt and manage stress. Why the name the Rocket? Well, “It gets you there faster”, as Bob Weir of the Grateful Dead would say. Larry was The Dead’s personal yoga instructor and went on tour with them, traveling and teaching yoga between shows. The sequence needed a name and Bob suggested the Rocket. There are currently around 20 international yoga studios teaching the Rocket. Come try it out and get ready for lift off!